Your rooftop is the most important component of your home, even if you do not realize that yet. This is the first line of defense against the elements, including severe weather related activity. So this is what safeguards the rest of your home, and the people and property inside, from the elements. Don’t you think you should be aware of common roofing problems and necessary roof repairs in Pickering, ON? So it only makes sense to want to take the best care possible of your roof, right? It would seem so yet too many homeowners don’t bother to get the care and maintenance needed to make that possible. It is time to take a real look at some of the more common issues that tend to occur with roofs so you can be aware of the risk you run. Without a proper roof inspection, there is no true way to determine the condition of your roofing. 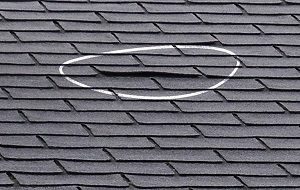 There are so many things that can go wrong with a roof and the longer you neglect to get your roof checked, the more likely you are to put your roof and home at risk. Rodents – Insects and other pests can make your attic or roofing their home. Before you even realize they are there you could have a serious problem. Depending on the type of pest present will determine how you deal with it. For instance, bats are protected and remediation must be handled in accordance with mandated guidelines. Improper Installation – While many people simply trust the roofing contractor they hire to do the best job possible, many are unable to do so. The problem is that you may not even realize that this so-called pro mishandled your roof installation work for a while. You end up with frequent repair needs and replacement, long before it should be time. Ventilation – Without proper ventilation, your roof is not going to last as long as it should. Not only that, but this lingering moisture can lead to other problems like mold, mildew and increased energy bills. How will you know if you have enough roof ventilation or not? While there are plenty of other reasons why you may have existing roof issues, these are some examples. The point is that you need to get your roof inspected and taken care of, on a regular basis. Take care of your roof and you can expect longevity and superior performance. Yet without the superior service work of our expert Pickering roofing contractors here at 360 Roof, you will end up with major problems. From roof inspections to roof repairs in Pickering, ON, our company is dedicated to provide the finest quality in both workmanship and customer service. Let us help you take care of your roof today. Call us at 416-360-ROOF to get started. If you are looking for a roof repair expert to take care of your roofing problems in Pickering, then please call 416-360-ROOF or complete our online request form.